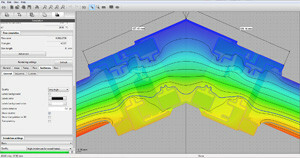 2D and 3D thermal and hygrometric analysis of walls, windows and ceilings. Immediately find thermal bridges and areas affected by surface and interstitial condensation. One-click windows and doors transmittance computation (ISO 10077-1, ISO 10077-2 and ISO 15099). Apply finite elements method without the need to know anything about the theory behind it. 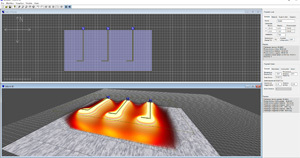 Fluid Interactive ® provides cutting-edge software solutions in many fields of engineering and computer graphics, including numerical simulation, 3D rendering and energy savings. Frame Simulator, together with Frame Composer, makes windows and doors transmittance computation (applying EN ISO 10077-1 and EN ISO 10077-2) an extremely easy process. Windows transmittance in just few clicks! You’ll get extremely accurate results with few and simple operations for every kind of frame without the need to know anything about EN ISO 10077. 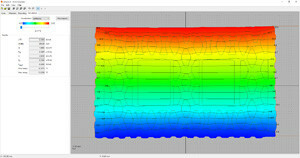 Mold Simulator allows to perform thermal and hygrometric analysis of walls, windows and ceilings. It makes easy to find thermal bridges and areas affected by surface and interstitial condensation. 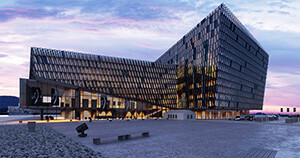 In just four steps you’ll be able compute the thermal characteristics of building elements, windows and ceilings according to the ISO 10211 standard. With Brick Simulator, together with the external module Layer Composer, you’ll be able to compute thermal transmittance of walls and floors, with all the related values, in a quick and intuitive way applying the latest standards. It makes extremely easy to compute thermal properties of wall applying EN 1745 and EN ISO 6946:2007 standards; moreover, you can choose moisture content of materials through EN ISO 10456:2008 standard. FluidRay RT is a physically based rendering application taking advantage of the latest development in real-time global illumination technology. Tweaking materials, lighting and all aspects of the final render has never been this simple: just edit your scene and get a real-time feedback in the viewport. There is no GPU memory limitations, FluidRay RT takes advantage to the whole system RAM. This means you can handle huge scenes without any problem. 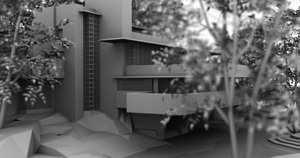 AmbientOcclusion is a very fast visualization plugin for SketchUp. No learning required. In just one click, you will create a visually compelling preview of your 3d models, highlighting space and relations with other objects. FluidImporter is an extension entirely written in C++, it can quickly import many different 3d file types into your SketchUp model. SketchFX extends SketchUp capabilities with a complete set of compelling visual effects. 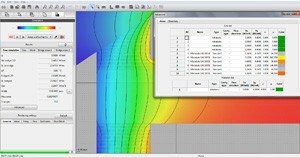 Fluid Interactive also develops custom software to give you the tools you need. Among the projects to which we have been dedicated over the years, Systema is a complex CAD tool developed for Systema S.p.a., a leader in heating systems production and installation. This software is an example of our ability in ad-hoc software developing. Click here to find out more.